The perfect finish to any outfit is a pair of Roberto Coin oval hoops. 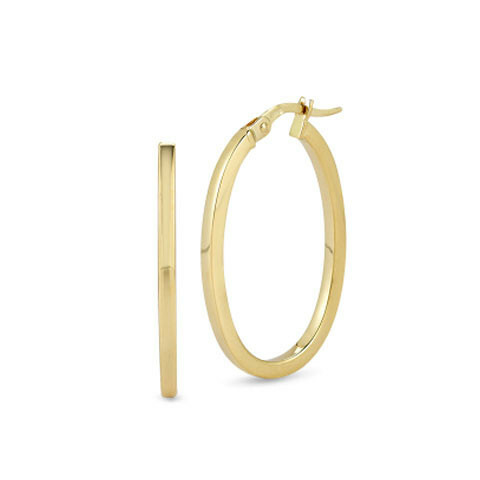 This set is forged in 18kt yellow gold with a smooth surface. These Roberto Coin hoops are an all-purpose pair that will be worn often.